The weather forecast was predicting cold conditions with a few possible showers. 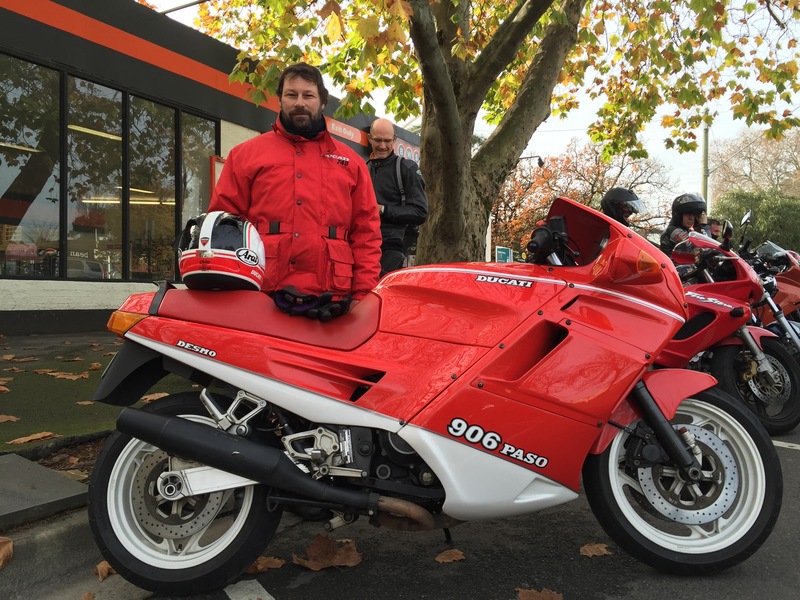 Given that it was also close to winter solstice, the shortest day of the year, it was good that Michael had not planned a long ride. 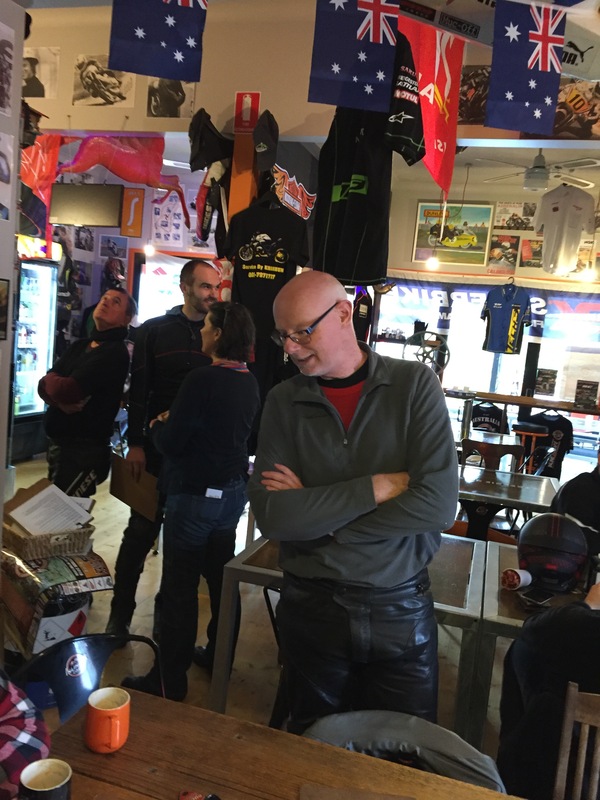 Michael had been suffering from “Man Flu” in the lead up to Sunday, but managed to do a pre-ride in the car three days earlier. On Sunday morning of the ride it was decided that he was not well enough to attend and that I would lead the ride instead. I knew the route for the first half of the ride, but a little unsure of the route he had planned after lunch. After a quick explanation and some reassurance “you’ll be fine” the Paso was off on its inaugural club ride. 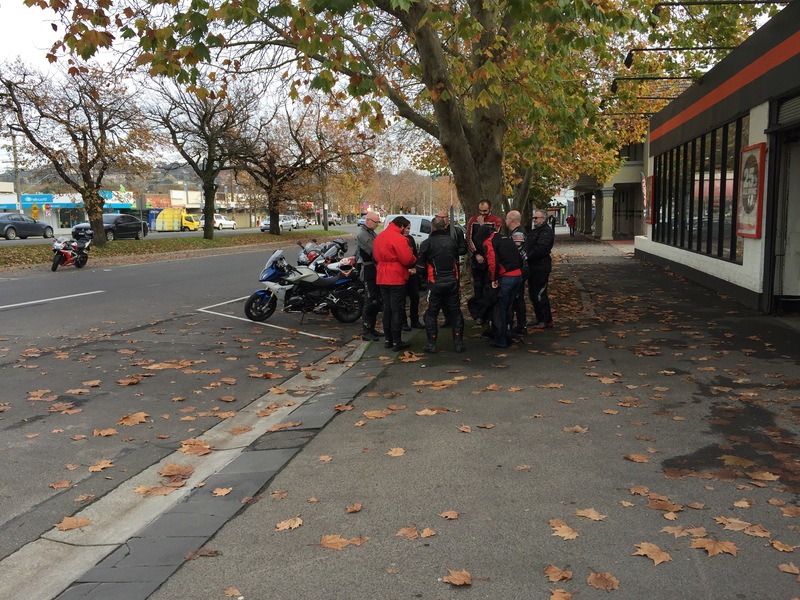 I arrived at the second pick-up location in Lilydale as Pete & Tim had pre arranged to lead the ride from South Yarra. Along the Eastern Freeway Tim & Stefan were pulled over by the police for licence checks. 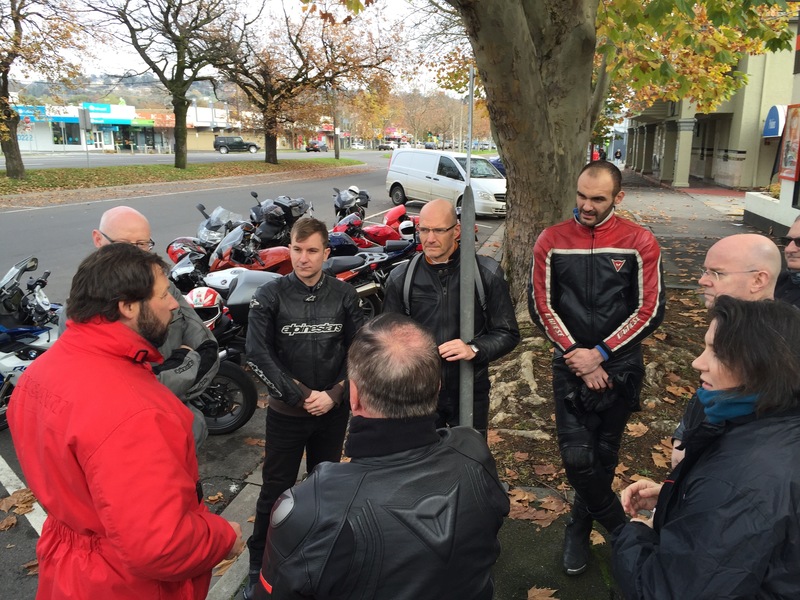 This is now two club rides in a row where members have been checked while attending a ride. There were no issues and they continued on their way. 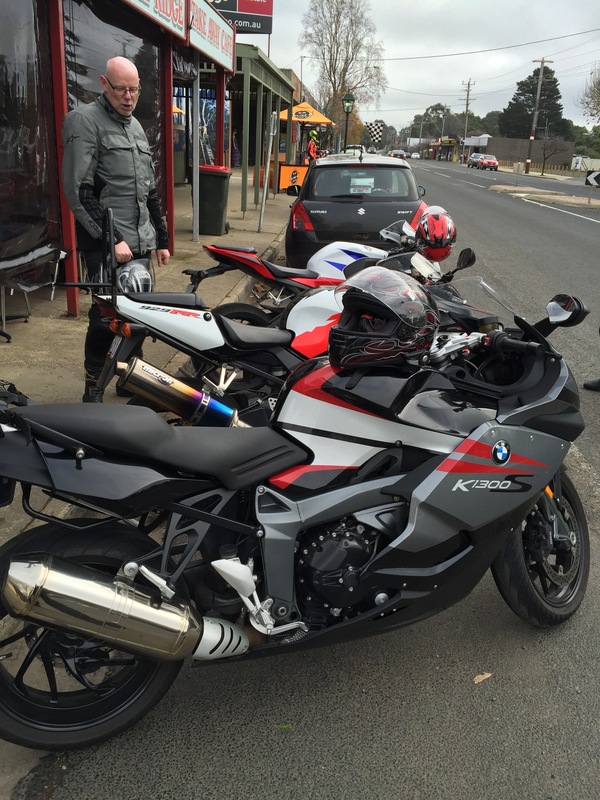 Ten bikes and riders departed Lilydale as we headed along the Warburton Highway towards Yarra Junction where we turned off towards Noojee. The roads were surprisingly dry, especially through the twisties after Powelltown where the road barely sees any sunlight on some corners during the winter months. 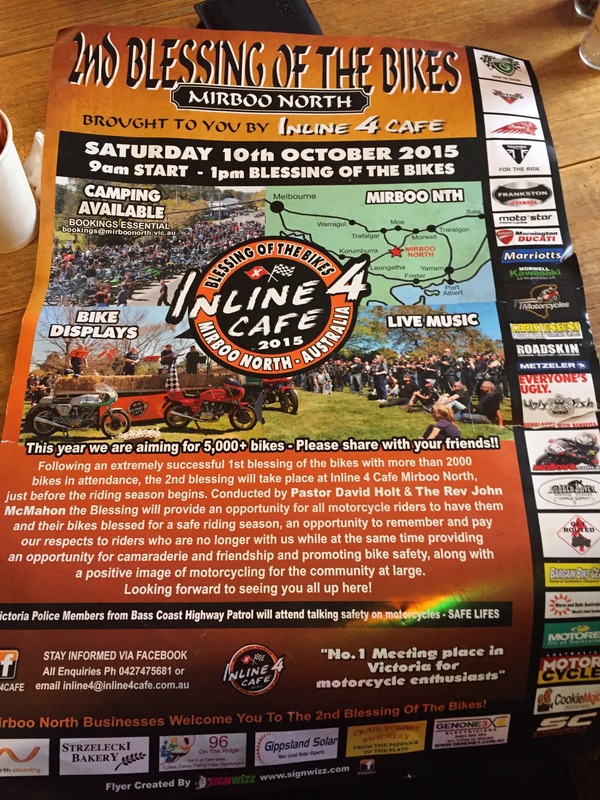 We turned off the Noojee road and headed towards Nayook and on to Neerim Junction, then along the Main Neerim Road to Neerim South. 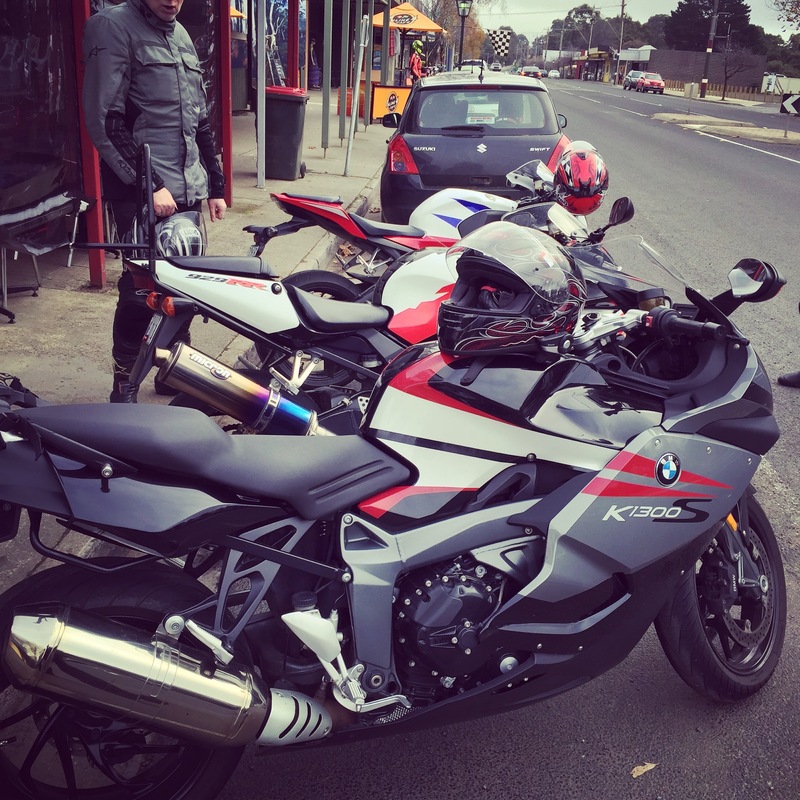 From there we continued towards the Princes Freeway via Crossover and Nilma. 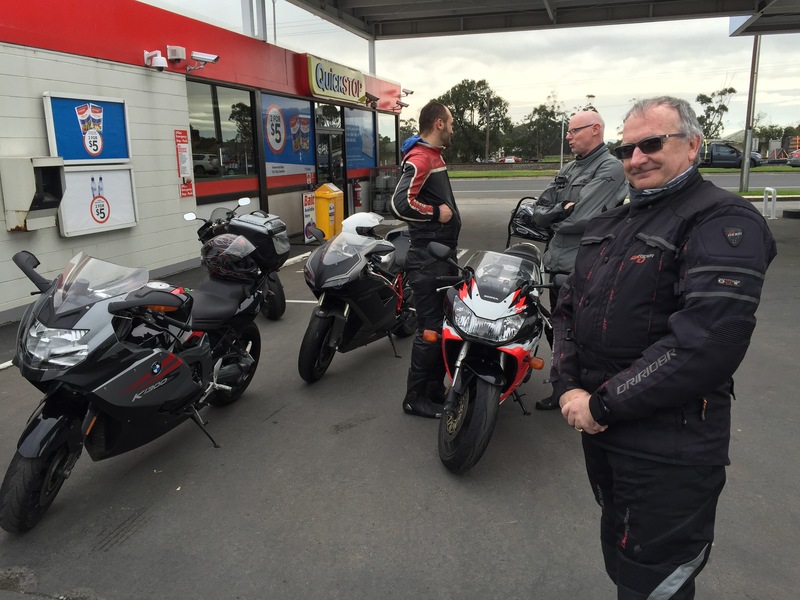 After a short stint along the Freeway we arrived at Trafalgar where we stopped for fuel. From here it was only a 30 minute ride to our lunch destination. The road from Trafalgar to Mirboo North winds its way through some of the most picturesque countryside South Gippsland has to offer. 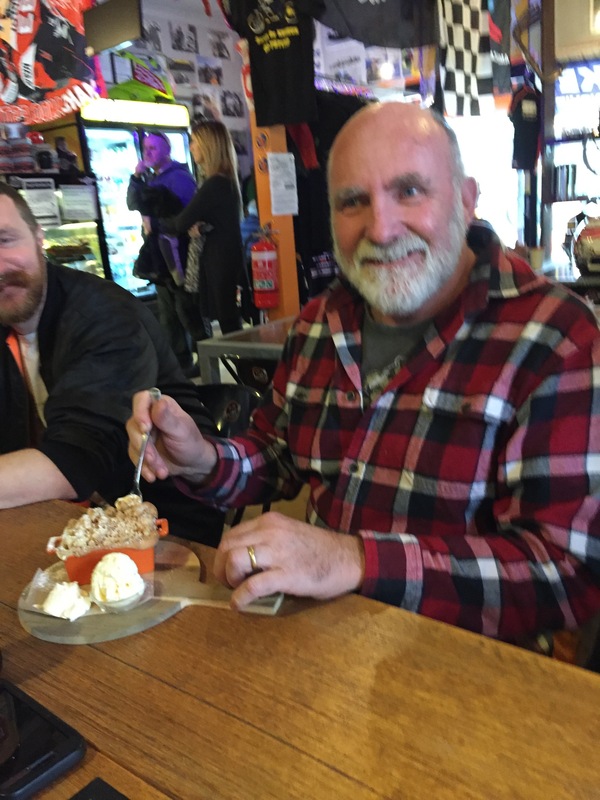 By the time we arrived at lunch I was starting to feel the cold and was glad to have a break from riding and a chance to warm up. The owner of the Café, Marcel was there to greet us upon arrival. 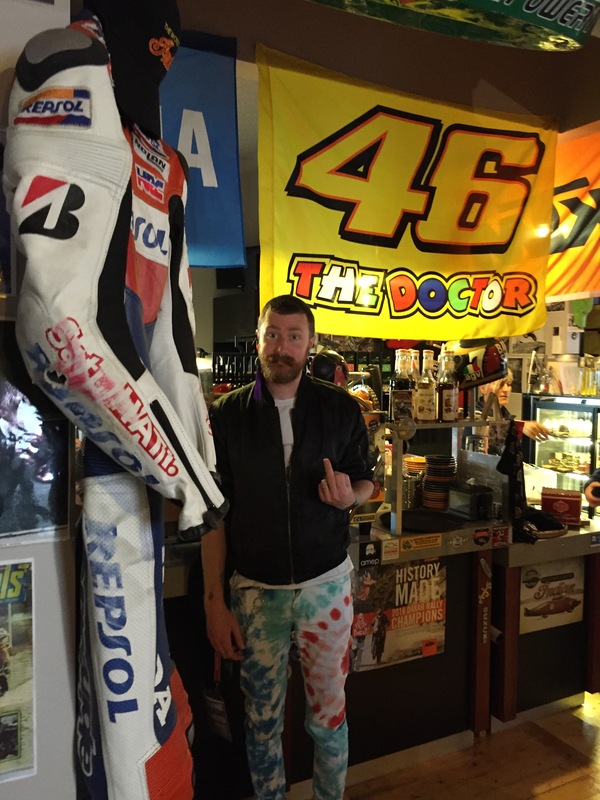 He is a very enthusiastic motorcyclist and welcomes all who share his passion with open arms. 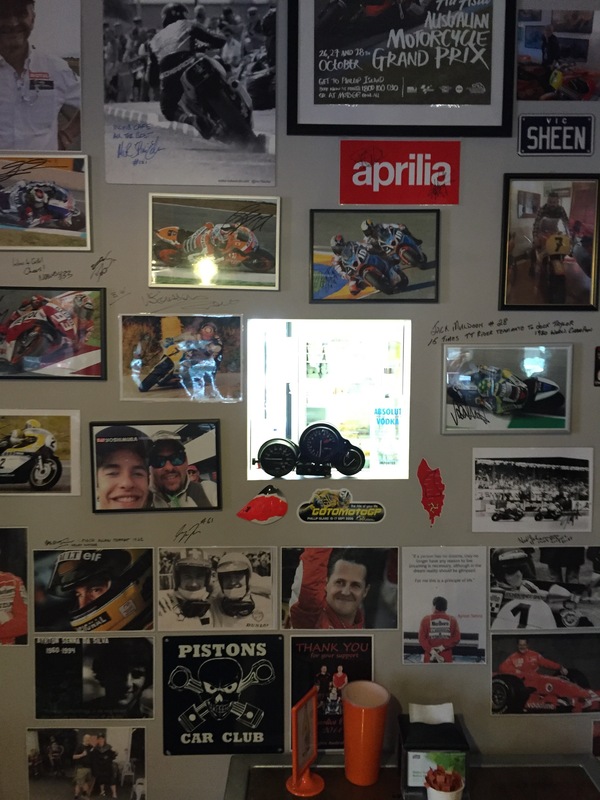 A long table was prepared for us at the rear of the café, which is filled from floor to ceiling with all forms of motorcycle memorabilia. Ken, Evan & Suki (dog) arrived in Evan’s VW Beetle and joined us for lunch. 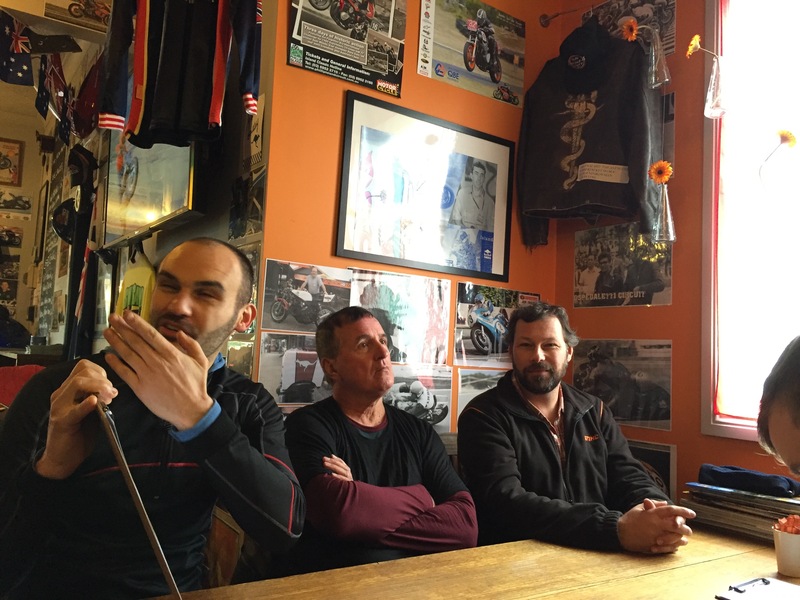 After lunch Marcel had a quick chat with the group to promote his annual event “The Blessing of The Bikes” which is usually held a week before the MotoGP at Phillip Island in October. 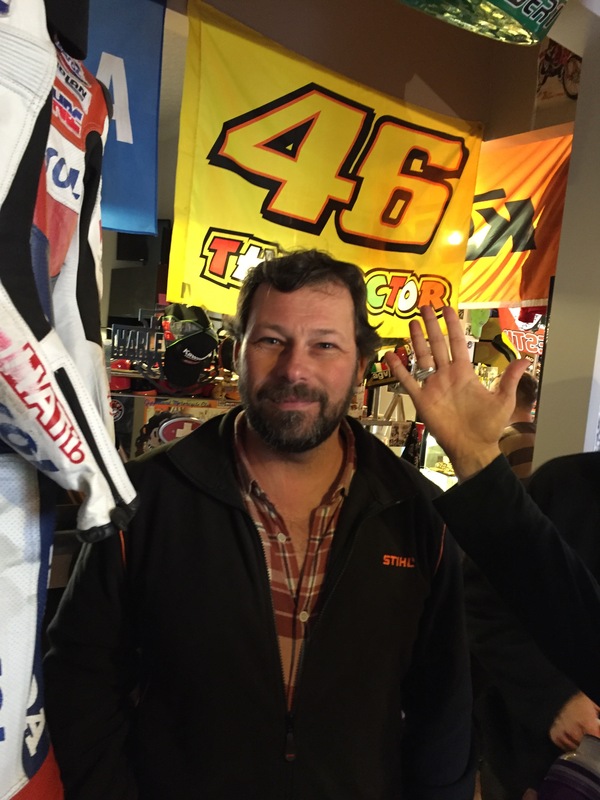 Last year over five thousand bikes attended and Marcel is hoping to double that amount this year. How will his espresso machine cope? Details of this event will be published in our newsletter separately. 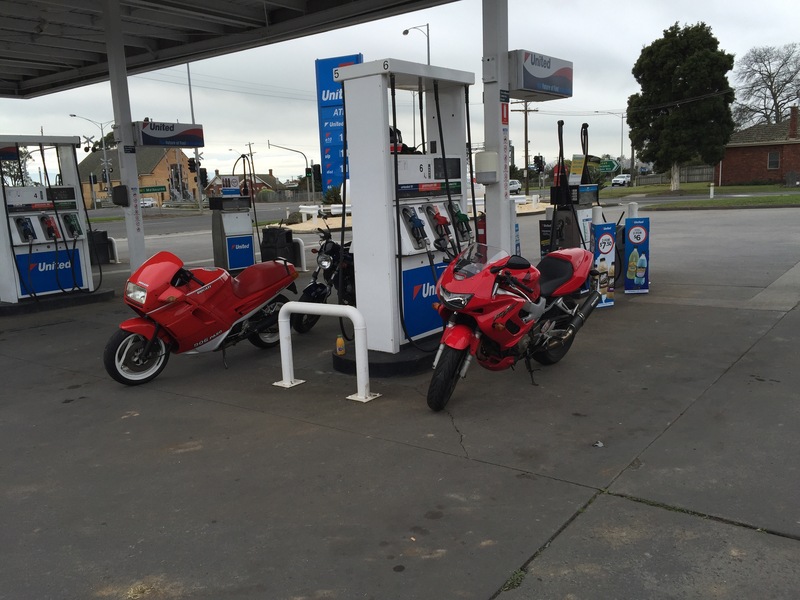 We continued on our ride home towards Koo Wee Rup via Korumburra, Poowong and Nyora. 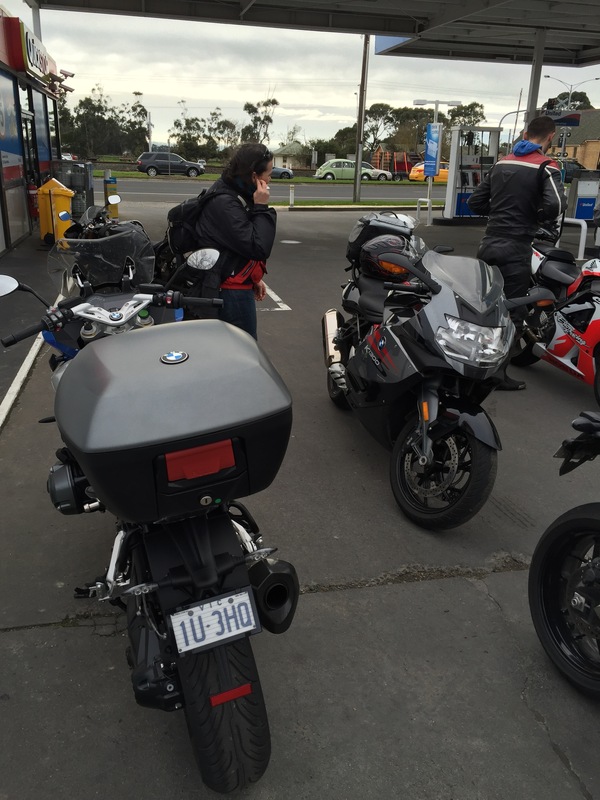 “H” left us at the Koo Wee Rup turn off while the rest of us continued on to our nal destination, Pakenham. I managed to follow Michael’s instructions and stick to the proposed route without getting lost. 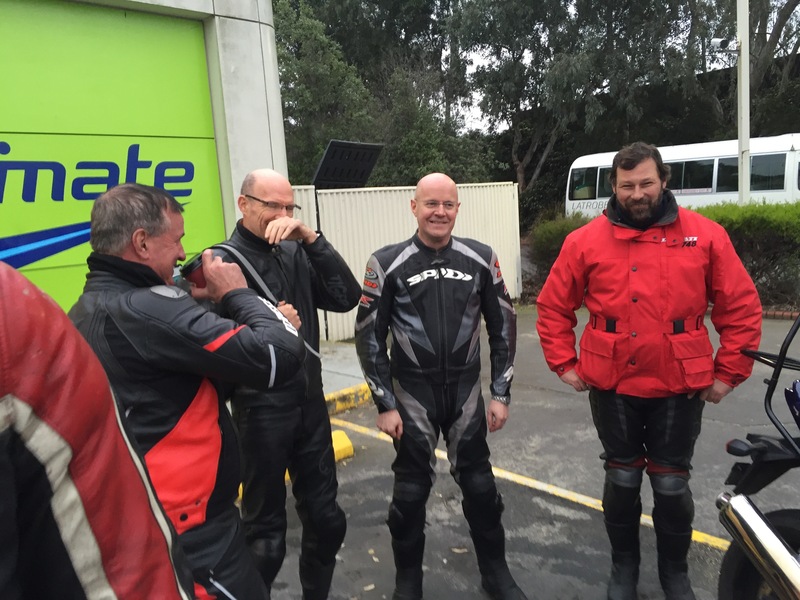 We arrived at Pakenham just before 4pm allowing enough time for everyone to get home before dark. 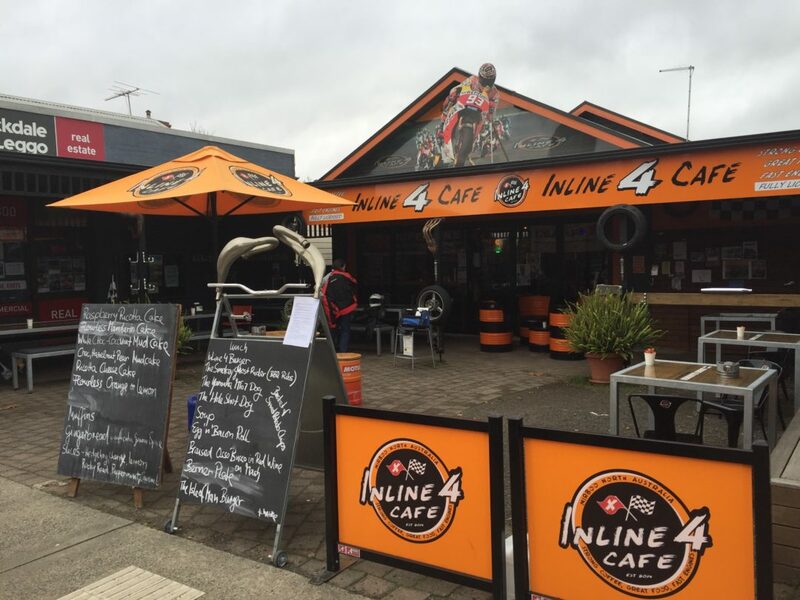 Luckily we managed to avoid any showers as predicted making this a great winter ride. 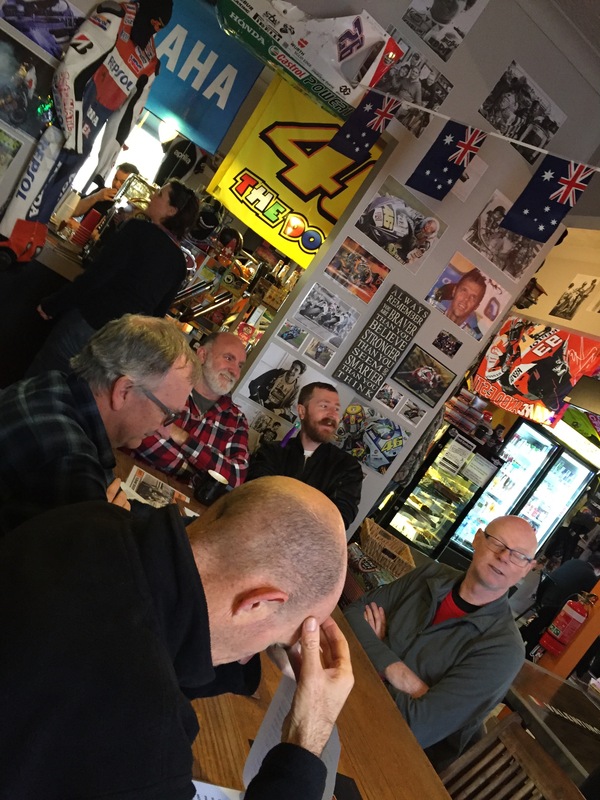 Thanks to Jay Cee (John C) for being an excellent Tail End Charlie, and Pete & Tim for leading the ride to Lilydale. 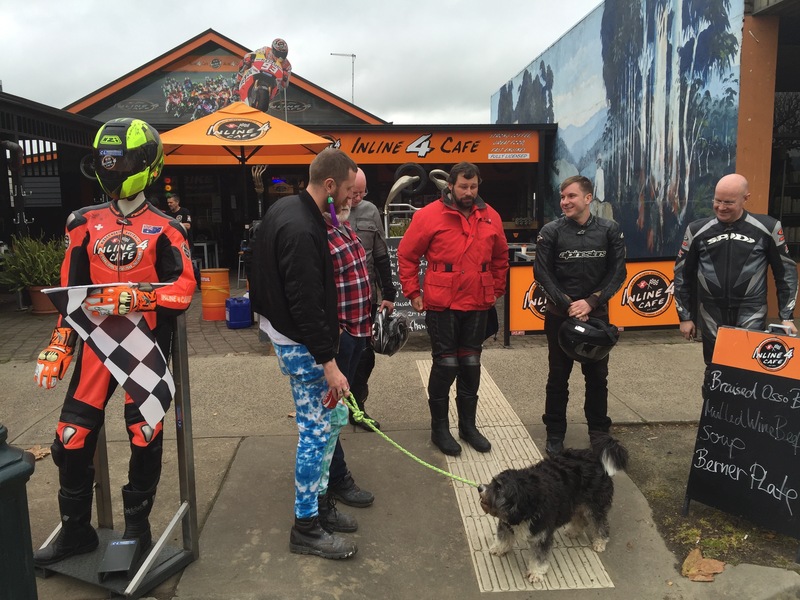 Michael was very disappointed he couldn’t make it on the ride, but thanks all who attended.